Hint: the answer is not a simple “yes” or “no”. I previously gave an overview of the background to Halloween. It’s been a pagan festival, Christian commemoration, and a medieval mishmash of the two. It’s been rejected by Reformers, and now thoroughly commercialised by Americans into an annual sugar-binge for children in costumes. Which is the real Halloween? What picture should come to mind be when someone says “Halloween”? – A stereotyped scraggly old witch croaking “blessed be”? – A solemn Catholic mass and prayers for those in purgatory? – A half-drunk Scotsman slurring out “Hallow’Eve”? – A pack of over-sugared children shouting “trick or treat!”? Perhaps all of them are legitimate options. It’s easy to convince postmodern people that the meaning of an event is whatever it means to you. However, the Bible urges us to think about what cultural events mean to those around us. It matters far less what it means to me personally than what it means to my neighbour, since I am called to love them. But we’ve gotten ahead of ourselves. First we need to ask: what do we do about Halloween’s association with pagan religion? Does it matter that modern witches, Satanists, and pagans treat it as a religious occasion? How should Christians respond? How should Christians respond to customs, traditions, and stories that have associations with false religions, demonic powers, and evil? The Apostle Paul’s engagement with this issue begins: “Now concerning food sacrificed to idols…” (1 Corinthians 8:1). Perhaps you’ve never thought that sounded relevant. It’s actually extremely relevant to how Christians think of Halloween and much more besides! Imagine you’re a non-Jewish, Greek-speaking resident of Corinth in the 40s (not the 1940s; the 0040s). Ever since you can remember, every aspect of your life has been religious. You regularly take animal sacrifices to the temples to offer before statues of the gods, in the hope that the gods would hear you, and would ensure that your hard work prospers that season. People knew that the idols weren’t literal gods; they were the way to approach the gods from earth. 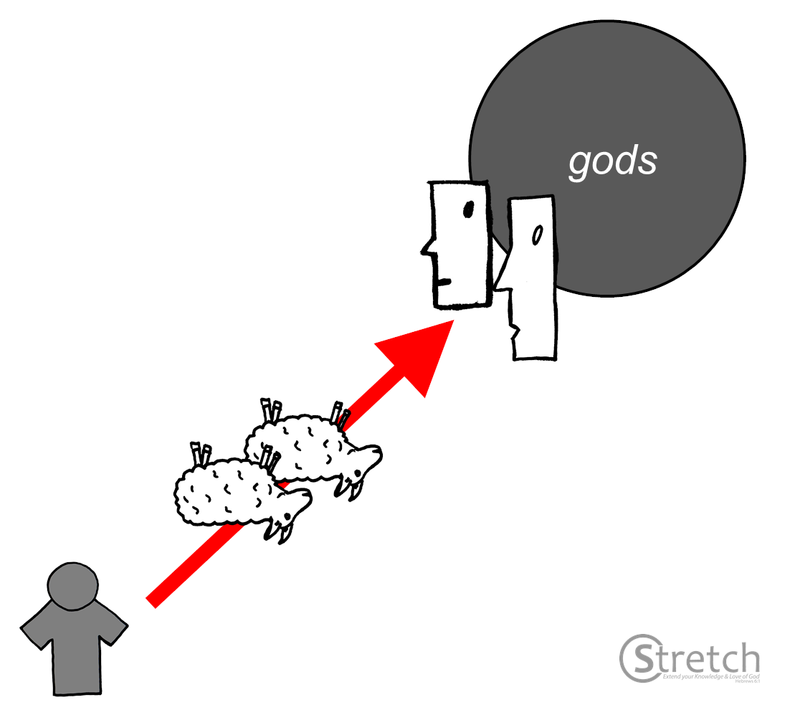 Idols were spiritual conduits through which you could reach the gods with your offering (figure 1). After you make your offering the priests might eat it else they would take it to the market to sell. That means that most of the meat at market might have been offered to an idol at some point. Idolatry is literally built into the economy of this society! (figure 2). But you don’t see it as idolatry. This is just normal life – trying to get by with whatever help the gods give you. But one day you hear the gospel of Jesus from a guy called ‘Paul’ who claims that Jesus sent him. You hear that Jesus died for your sins, has risen from the dead, that he has ascended to heaven and will one day judge the world. You listen, think it through, and eventually come to believe Paul’s message. Your entire way of life is unmasked. Jesus has been exalted above every power, whether physical or spiritual. That means that these ‘gods’ you’ve served either don’t exist or are evil powers that have been defeated by Jesus and will be destroyed by him on the Day of Judgement. You turn from your idolatry and become a Christian. This makes life harder. Your society’s entire way of life is permeated by idolatry. Most food at the marketplace has been dedicated to false gods. Even your favourite food that your mum makes has been offered to idols first! Avoiding food that has had any contact with false religion is very difficult. To someone with a background in idolatry, even if you have been convinced in your mind that there is only one God, you cannot view idols as having no spiritual significance. That idol is spiritually tainted and a powerful symbol of your past enslavement. Refusing to join in eating that food is a significant line-in-the-sand for you. On that side, my old life of idolatry; on this side, service to Jesus. Thus there were two groups in the Corinthians church with strong, and polar opposite views on the significance of Christians eating idol meat (read 1 Corinthians 8). This was a delicate situation, both pastorally and theologically. Paul would need to not only uphold Christian truth, but think about how true doctrine interacts with individual experience. If you doubt the seriousness of this issue, remember: this food had literally been offered in worship to false gods! Whilst Paul affirms that these gods have no actual existence (8:4-6), this does not mean that the ‘spiritual space’ behind idols is empty. There are real demonic powers behind the deceptions of false religion. 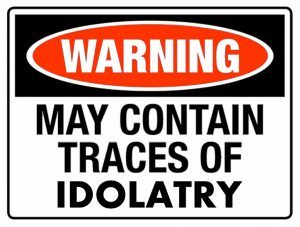 That means that whilst the gods that the idols represent don’t exist, idolatry involves connecting with evil powers which are opposed to God (10:14-20; figure 3). – What if they eat it without knowing? Do Christians have the spiritual equivalent of a gluten-intolerance to idolatry? 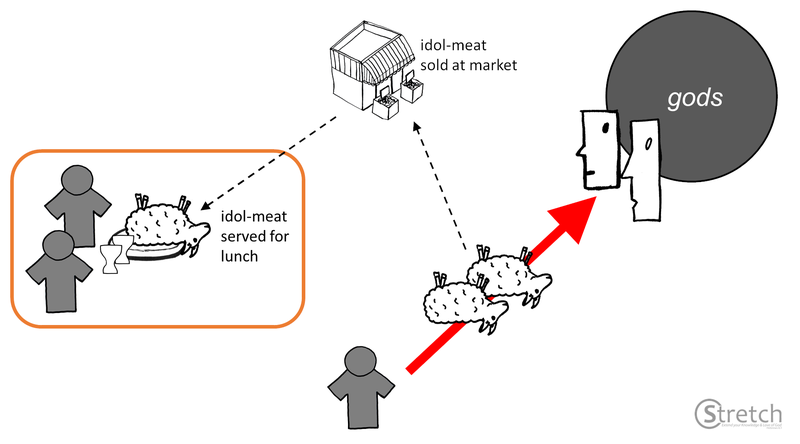 Will idol-meat will do them real spiritual harm regardless of whether they know that’s what It is? 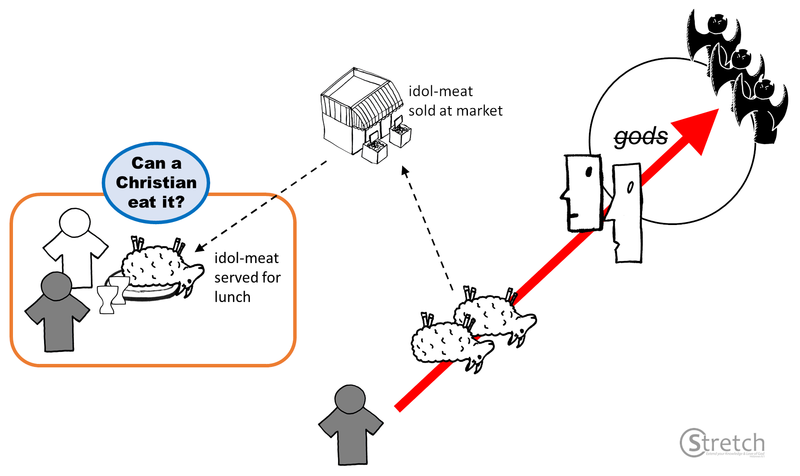 – Alternatively, can Christians eat idol-meat even if they know it was sacrificed to idols? After all, idol worship is just silly superstition and worship of fake gods! Figure 3. Can Christians eat idol-food? It was offered to demons! Paul’s answer is longer than a sound bite (1 Corinthians 8-10) and involves engaging with a number of factors simultaneously. In essence he describes four levels of connection to idolatry & demonic practices that any cultural practice might have, whether we are considering idol-food or Halloween. Each level of connection requires a different response. At the extreme end of the scale is adopting such practices (#4). The Bible is very clear that God’s people must not engage in idolatry, witchcraft, divination, or consulting the dead (Deuternomy 18:10-14; Galatians 5:20). Not only does God detest these things, but they are connected to real demonic forces. At the other extreme are things that have a merely historical connection to evil (#1). Arguably Christmas is like this, since it was the Christian replacement for a December 25th pagan festival. 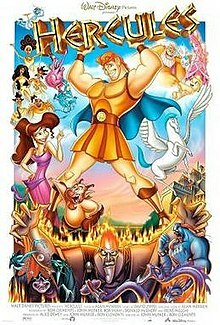 Alternatively, movies like the animated Hercules (1997) tell stories about Greek gods and goddesses that people once seriously believed in. Today they are just fodder for children’s fiction. Idol food is fine for Christians to eat. We don’t need to worry about whether good things have become spiritually corrupted by association with evil. If they are good, then they are good. Food is good; eat it! Christians cannot join-in with false religion. If you are eating a normal meal with unbelievers it doesn’t matter where the food comes from. But if they say that it has been sacrificed to idols, or ask you to pray to their god with them, or to engage in any other form of non-Christian spiritual activity, they are asking you to participate in demonic falsehoods. All Christians must completely reject such things. 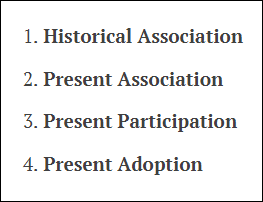 Historical Association – no worries! Present Participation – don’t join in with evil! Present Adoption – all other religions & spiritualities are false & demonic. To join them is to cease being a Christian. Notice that #2 says ‘but…’. There is much more to say on #2 that is extremely important but must wait for my final post in the series. For now, take let’s stock of where we are at with considering Halloween. Halloween’s distant historical connection to pagan religion and false ‘Christian’ practices like praying for those in purgatory is irrelevant (#1). We don’t need to worry about mere history at all. On the other hand, if we know witches or druids (or Roman Catholics) who practice any of these things for Halloween today we must not participate with them (#3-4)! Christians should stay completely away from such things. We must ‘flee from idolatry’ (10:14). It might sound like we haven’t answered much. In-between these extremes is still the average person’s entire experience of Halloween. So it might sound as though Christians are free to do whatever they like with Halloween so long as they don’t engage in witchcraft.